This trip takes you between two most iconic capital cities in the world, and between two of the most famous points: Greenwich Observatory in London, and the Eiffel Tower in Paris. The going is not as flat as many people think, but you do pass through classic countryside in Kent, and the Pas de Calais, Somme and Oise regions of France. The road parts are done under your own pedal-power. The wet part goes via the most famous channel crossing: Dover to Calais. On your day in Paris, you could always round it off with a visit to Notre Dame. On a bike you feel the wind in your face, and get a real chance to explore some beautiful corners of England and France on the way. Once out of London, you pass through one of the harder sections of the route, as you go through Kent and the North Downs. The countryside is verdant, and remarkably much as it was in past centuries. From Calais you head inland and south. History will surround you on this ride - a stark reminder of the importance of these lands and of the wars that have been fought there. You’ll pass by battlefields from the Hundred Years’ War, see First World War cemeteries, You’ll also pass the spectacular Gothic cathedrals of Abbeville and Beauvais, with their extraordinary white limestone construction, full of tracery and flying buttresses. You’ll stay one night each in Dover, Abbeville, Beauvais, and Paris. In Paris, if you want you can take time to soak up the atmosphere of one of the most romantic cities in the world: its restaurants, cafés, museums, and nightlife. 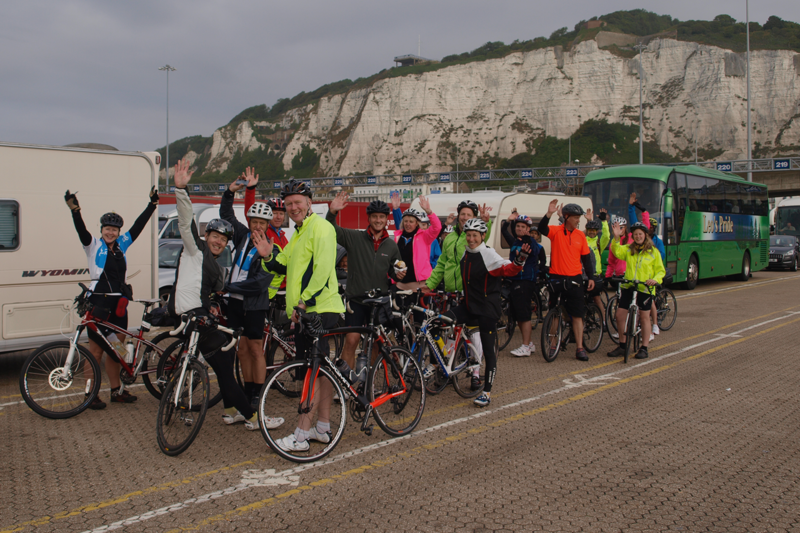 Day 1 - London to Dover: Typically we meet at 6.30am at the Greenwich Observatory to start riding at 7 am. 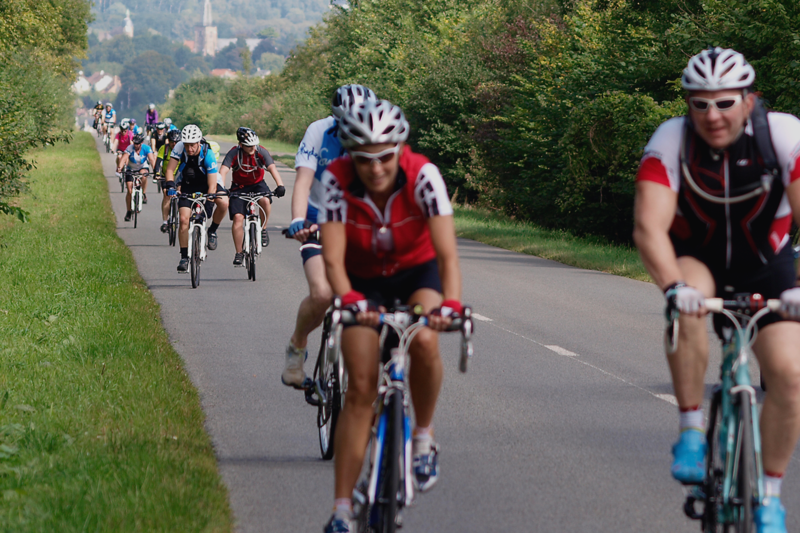 The route takes in Greenwich Park, Shooters Hill and then follows the Thames corridor through to Dartford. From there we skirt Maidstone passing through Coxheath, Lenham and over the Kent Downs towards Folkestone. From Folkestone, the route follows the coast to Dover, where we stay the night. 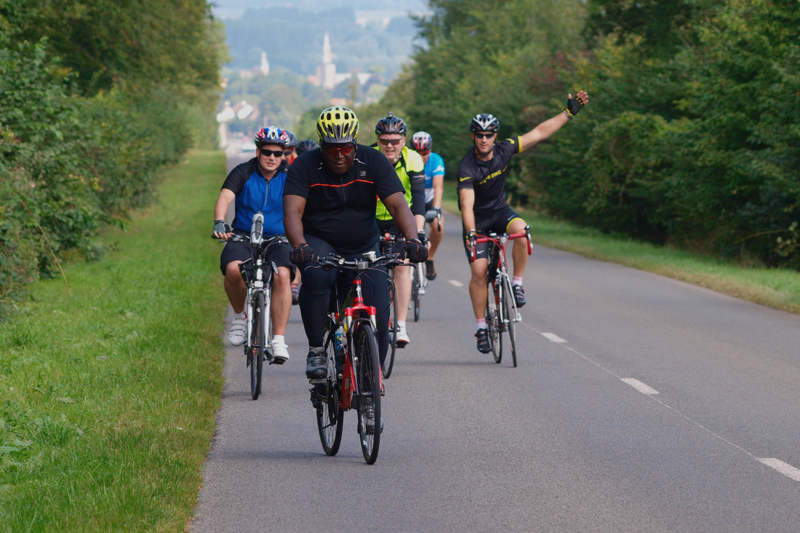 Day 2 - Calais to Abbeville: After an early start, grab breakfast on the cross-channel ferry to Calais, cycle through the old town centre and begin our route on minor roads crossing through the beautiful rolling countryside of the Boulonnais National Park. The road surfaces are generally good and the chances to stop at the roadside are plentiful. After this, the route heads out into the country passing through numerous small villages, the beautiful gardens and abbey of Valloires and past a very pretty windmill with crepe shop attached. We finish the day in the town of Abbeville. 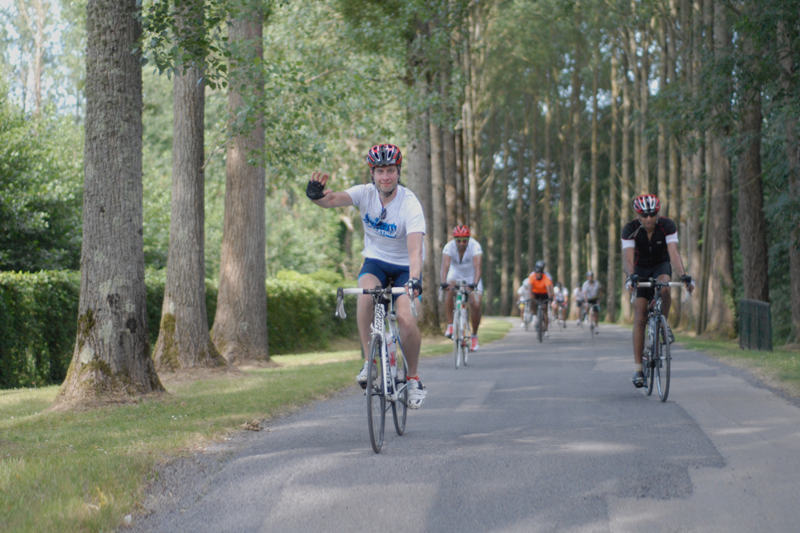 Day 3 - Abbeville to Beauvais: The day starts with a ride through the town centre, then out into open countryside. The roads used are in good condition, although narrow and single lane in places. We follow the River Somme for a small section and then cycle past open fields and through pretty French villages to Grand Villiers. The last section of the day runs along the D149 into the town of Beauvais. Despite the town having been severely damaged during the 2nd World War, the great Gothic cathedral is a must-see, especially its ornate Medieval clock. 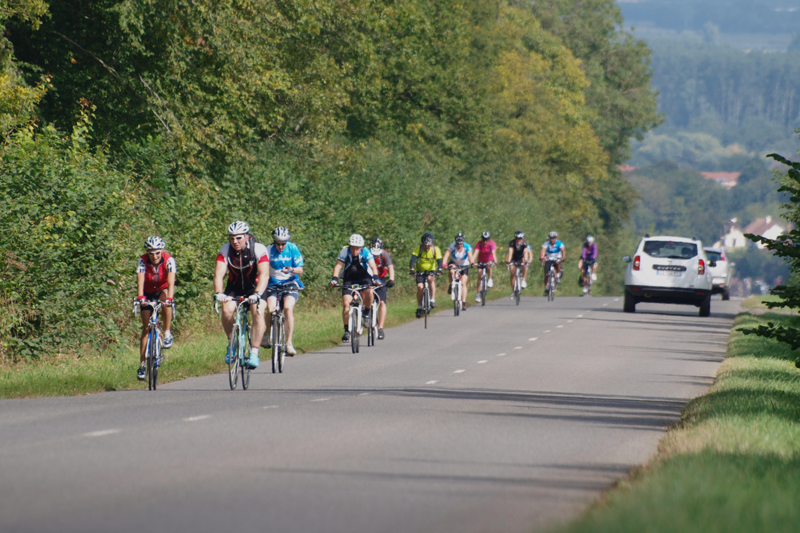 Day 4 - Beauvais to Paris: 10 am start - Leaving Beauvais the going is undulating as the route heads south past fields into the Vexin National Park and on to cross the River Oise at Méry sur Oise. Paris comes into sight and on entering the outskirts there are some steep, winding descents down to the River Seine, which we cycle beside to the Bois de Boulogne. From here we head to the Trocadero for fantastic views of the Eiffel Tower and take the final ride down beneath the Tower, along the Seine, then onto the Place de Concord and up the Champs Elysees with a victory lap for the brave ones around the Arc de Triomphe. Day 5 - Paris: There is a free morning in Paris for sightseeing before making our way home via Eurostar. Why not visit a museum or gallery before traveling back to the UK. Return times range between 12 noon and 6pm. 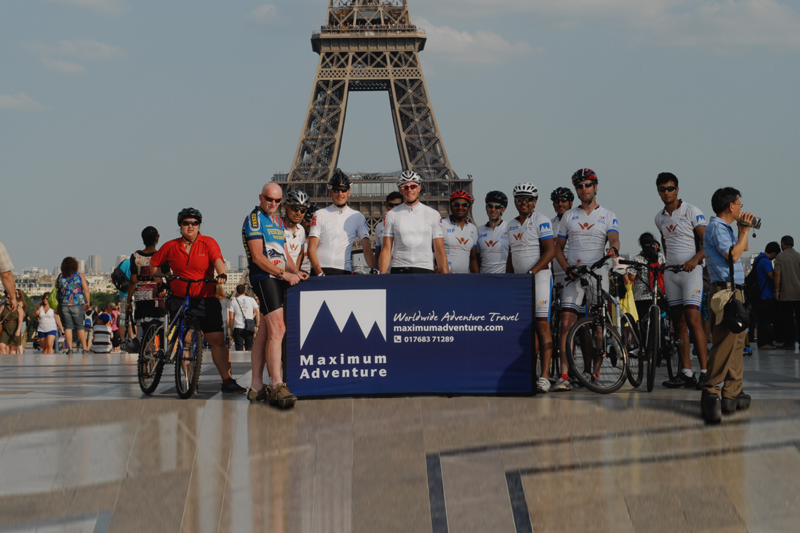 We run the London 2 Paris Cycle as an open or bespoke event. Our open events run Wednesday to Sunday, fortnightly from April to October (in June we run open events weekly). For bookings of 10 people or more, we also run this as an exclusive event on the dates of your choosing. To book any number of participants on to an event, simply select the date in the calendar and follow the booking procedure. You will then receive an automated confirmation and full details will follow from our office in due course.